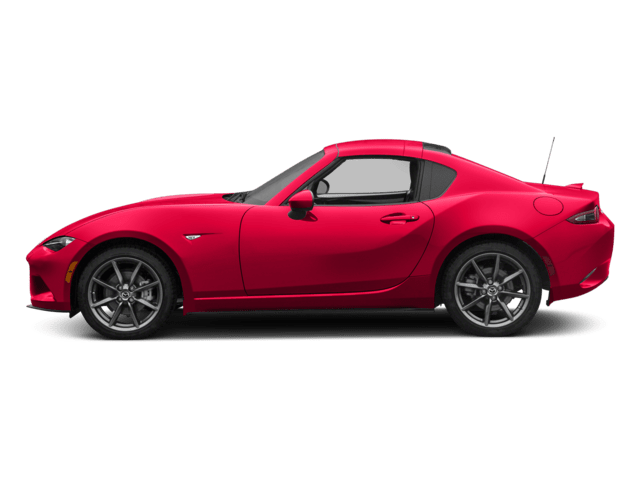 South Bay Mazda is a reliable source near Redondo Beach for high-quality used cars for sale from Mazda, as well as other brands like Nissan, Chevrolet, BMW, and Tesla. We hand-pick our pre-owned cars for dependability and offer competitive prices on each one, as well as workable financing options for Manhattan Beach shoppers of all stripes. Below, you’ll find 31 used vehicles for sale — all of which are ready for you to explore and test drive around Torrance! Certified. SOUTH BAY MAZDA!!!! Clean CARFAX. One Owner, 16 x 6.5J Alloy Wheels, 4-Wheel Disc Brakes, ABS brakes, Blind spot sensor: warning, Brake assist, Electronic Stability Control, Exterior Parking Camera Rear, Four wheel independent suspension, Front fog lights, Fully automatic headlights, Heated door mirrors, Illuminated entry, MAZDA CONNECT Infotainment System, Overhead airbag, Power door mirrors, Power moonroof, Radio data system, Radio: AM/FM/HD Audio System, Rain sensing wipers, Rear anti-roll bar, Remote keyless entry, Speed control, Speed-sensing steering, Steering wheel mounted audio controls, Telescoping steering wheel, Traction control, Turn signal indicator mirrors, Variably intermittent wipers. Odometer is 1019 miles below market average! Priced below KBB Fair Purchase Price! 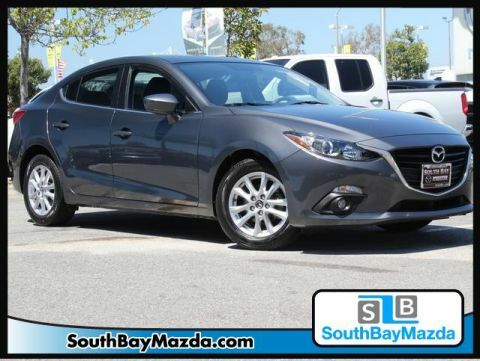 30/41 City/Highway MPG Meteor Gray 2016 Mazda Mazda3 i Touring FWD 6-Speed Automatic SKYACTIV®-G 2.0L 4-Cylinder DOHC 16V Mazda Certified Pre-Owned Details: * Transferable Warranty * Powertrain Limited Warranty: 84 Month/100,000 Mile (whichever comes first) from original in-service date * Limited Warranty: 12 Month/12,000 Mile (whichever comes first) after new car warranty expires or from certified purchase date * Warranty Deductible: $0 * Roadside Assistance * Vehicle History * 160 Point Inspection * Includes Autocheck Vehicle History Report with 3 Year Buyback Protection Awards: * 2016 KBB.com 10 Best Sedans Under $25,000 Reviews: * Precise handling when going around turns; very good fuel economy; quick acceleration; top crash test scores; refined interior with intuitive controls; available hatchback body style; many advanced features are available. Source: Edmunds www.southbaymazda.com Oustanding Financing, Excellent Selection of Used Vehicles, serving LA, South Bay, Redondo Beach, Torrance, Hawthorne, Hermosa Beach, Manhattan Beach, Palos Verdes, Orange County, Cerritos, Gardena, Longbeach. Certified. 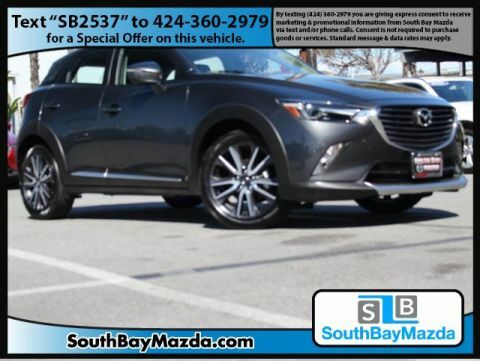 SOUTH BAY MAZDA!!!! Clean CARFAX. One Owner, 16 Alloy Wheels, 4-Wheel Disc Brakes, ABS brakes, Automatic On/Off Headlights, Blind Spot Monitor w/Rear Cross Traffic Alert, Body-Color Power Folding Heated Exterior Mirrors, Brake assist, Electronic Stability Control, Exterior Parking Camera Rear, Four wheel independent suspension, Illuminated entry, MAZDA CONNECT Infotainment System, Occupant sensing airbag, Overhead airbag, Panic alarm, Preferred Equipment Package, Premium Cloth Seats, Radio data system, Radio: AM/FM/HD Audio System, Rain-Sensing Windshield Wipers, Rear anti-roll bar, Rear Seat Armrest w/Cupholders, Remote keyless entry, Soul Red Metallic Paint Charge, Speed control, Speed-sensing steering, Steering wheel mounted audio controls, Traction control. Odometer is 7388 miles below market average! 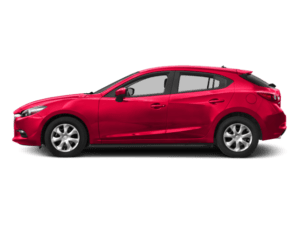 30/40 City/Highway MPG soul red metallic 2016 Mazda Mazda3 i Sport FWD 6-Speed Automatic SKYACTIV®-G 2.0L 4-Cylinder DOHC 16V Mazda Certified Pre-Owned Details: * Includes Autocheck Vehicle History Report with 3 Year Buyback Protection * Warranty Deductible: $0 * Limited Warranty: 12 Month/12,000 Mile (whichever comes first) after new car warranty expires or from certified purchase date * Roadside Assistance * Transferable Warranty * Vehicle History * Powertrain Limited Warranty: 84 Month/100,000 Mile (whichever comes first) from original in-service date * 160 Point Inspection Awards: * 2016 KBB.com 10 Best Sedans Under $25,000 Reviews: * Precise handling when going around turns; very good fuel economy; quick acceleration; top crash test scores; refined interior with intuitive controls; available hatchback body style; many advanced features are available. Source: Edmunds www.southbaymazda.com Oustanding Financing, Excellent Selection of Used Vehicles, serving LA, South Bay, Redondo Beach, Torrance, Hawthorne, Hermosa Beach, Manhattan Beach, Palos Verdes, Orange County, Cerritos, Gardena, Longbeach. Certified. 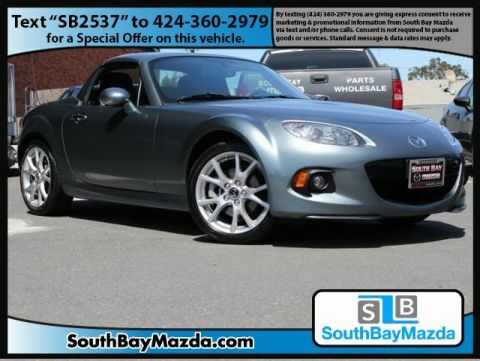 SOUTH BAY MAZDA!!!! One Owner, 4-Wheel Disc Brakes, ABS brakes, Auto-Dimming Interior Mirror, Blind spot sensor: warning, Brake assist, Dual-Zone Automatic Climate Control, Electronic Stability Control, Exterior Parking Camera Rear, Four wheel independent suspension, Front fog lights, Fully automatic headlights, Heated door mirrors, MAZDA CONNECT Infotainment System, Occupant sensing airbag, Overhead airbag, Panic alarm, Popular Equipment Package, Power moonroof, Radio: AM/FM/CD/HD w/Single CD, Rear anti-roll bar, Remote keyless entry, SiriusXM Satellite Radio(Includes roof-mounted shark fin antenna and 4 month subscription), Speed control, Speed-sensing steering, Steering wheel mounted audio controls, Traction control, Turn signal indicator mirrors. Odometer is 14169 miles below market average! Priced below KBB Fair Purchase Price! 30/41 City/Highway MPG Crystal Blue 2016 Mazda Mazda3 i Touring FWD 6-Speed Automatic SKYACTIV®-G 2.0L 4-Cylinder DOHC 16V Mazda Certified Pre-Owned Details: * Warranty Deductible: $0 * 160 Point Inspection * Powertrain Limited Warranty: 84 Month/100,000 Mile (whichever comes first) from original in-service date * Limited Warranty: 12 Month/12,000 Mile (whichever comes first) after new car warranty expires or from certified purchase date * Includes Autocheck Vehicle History Report with 3 Year Buyback Protection * Transferable Warranty * Roadside Assistance * Vehicle History Awards: * 2016 KBB.com 10 Best Sedans Under $25,000 Reviews: * Precise handling when going around turns; very good fuel economy; quick acceleration; top crash test scores; refined interior with intuitive controls; available hatchback body style; many advanced features are available. Source: Edmunds www.southbaymazda.com Oustanding Financing, Excellent Selection of Used Vehicles, serving LA, South Bay, Redondo Beach, Torrance, Hawthorne, Hermosa Beach, Manhattan Beach, Palos Verdes, Orange County, Cerritos, Gardena, Longbeach. 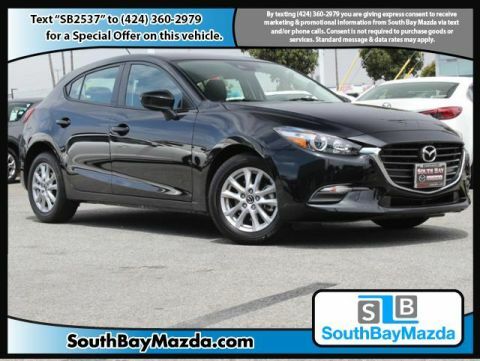 SOUTH BAY MAZDA!!!! Clean CARFAX. 17 x 7 Silver Aluminum Alloy Wheels, 4-Wheel Disc Brakes, 7 Speakers, ABS brakes, Anti-Theft Alarm, Bluetooth® Hands-Free Phone System, Convertible HardTop, Convertible roof wind blocker, Electronic Stability Control, Four wheel independent suspension, Glass rear window, Heated front seats, Leather Upholstery, Mazda Advanced Keyless Entry System, Panic alarm, Premium Package, Remote keyless entry, SIRIUS Satellite Radio, Speed control, Speed-sensing steering, Steering wheel mounted audio controls, Xenon Headlights. Priced below KBB Fair Purchase Price! Dolphin Gray Metallic 2013 Mazda Miata PRHT Grand Touring RWD 6-Speed Automatic Sport 2.0L I4 DOHC VVT 16V Awards: * 2013 KBB.com 5-Year Cost to Own Awards Reviews: * If you love the look and open-air feel of the old British Triumphs and MGs, but you don't want to deal with the hassle of a 50-year-old used car, the 2013 Mazda MX-5 Miata lets you have your cake and eat it too. Source: KBB.com www.southbaymazda.com Oustanding Financing, Excellent Selection of Used Vehicles, serving LA, South Bay, Redondo Beach, Torrance, Hawthorne, Hermosa Beach, Manhattan Beach, Palos Verdes, Orange County, Cerritos, Gardena, Longbeach. Certified. SOUTH BAY MAZDA!!!! Clean CARFAX. One Owner, 16 x 6.5J Alloy Wheels, 4-Wheel Disc Brakes, 6 Speakers, ABS brakes, Brake assist, Electronic Stability Control, Exterior Parking Camera Rear, Four wheel independent suspension, Illuminated entry, MAZDA CONNECT Infotainment System Voice Command, Overhead airbag, Panic alarm, Radio data system, Radio: AM/FM/HD Audio System, Rear anti-roll bar, Remote keyless entry, Speed control, Speed-sensing steering, Steering wheel mounted audio controls, Traction control. Priced below KBB Fair Purchase Price! 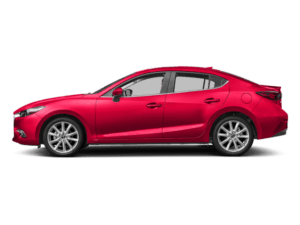 28/37 City/Highway MPG Crystal Blue 2018 Mazda Mazda3 Sport FWD 6-Speed Automatic SKYACTIV®-G 2.0L 4-Cylinder DOHC 16V Mazda Certified Pre-Owned Details: * 160 Point Inspection * Transferable Warranty * Limited Warranty: 12 Month/12,000 Mile (whichever comes first) after new car warranty expires or from certified purchase date * Powertrain Limited Warranty: 84 Month/100,000 Mile (whichever comes first) from original in-service date * Includes Autocheck Vehicle History Report with 3 Year Buyback Protection * Warranty Deductible: $0 * Roadside Assistance * Vehicle History www.southbaymazda.com Oustanding Financing, Excellent Selection of Used Vehicles, serving LA, South Bay, Redondo Beach, Torrance, Hawthorne, Hermosa Beach, Manhattan Beach, Palos Verdes, Orange County, Cerritos, Gardena, Longbeach. Certified. 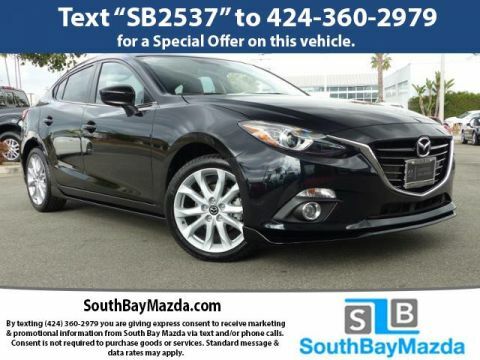 SOUTH BAY MAZDA!!!! Clean CARFAX. One Owner, 4-Wheel Disc Brakes, 6 Speakers, ABS brakes, Aha Internet Radio, Brake assist, Delay-off headlights, E911 Automatic Emergency Notification, Electronic Stability Control, Exterior Parking Camera Rear, Illuminated entry, Infotainment System Voice Command, Pandora Internet Radio, Panic alarm, Remote keyless entry, Speed control, Speed-sensing steering, Steering wheel mounted audio controls, Stitcher Internet Radio, Traction control. 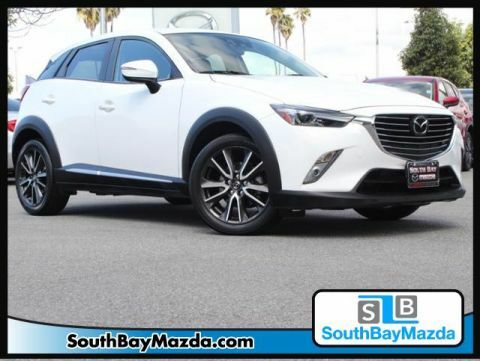 29/34 City/Highway MPG machine gray metallic 2018 Mazda CX-3 Sport FWD 6-Speed Automatic SKYACTIV®-G 2.0L 4-Cylinder DOHC 16V Mazda Certified Pre-Owned Details: * Includes Autocheck Vehicle History Report with 3 Year Buyback Protection * Transferable Warranty * Powertrain Limited Warranty: 84 Month/100,000 Mile (whichever comes first) from original in-service date * Limited Warranty: 12 Month/12,000 Mile (whichever comes first) after new car warranty expires or from certified purchase date * Warranty Deductible: $0 * 160 Point Inspection * Roadside Assistance * Vehicle History www.southbaymazda.com Oustanding Financing, Excellent Selection of Used Vehicles, serving LA, South Bay, Redondo Beach, Torrance, Hawthorne, Hermosa Beach, Manhattan Beach, Palos Verdes, Orange County, Cerritos, Gardena, Longbeach. Certified. SOUTH BAY MAZDA!!!! Recent Arrival! Clean CARFAX. One Owner, 16 x 6.5J Alloy Wheels, 4-Wheel Disc Brakes, 9 Speakers, ABS brakes, AM/FM radio: SiriusXM, Auto-dimming Rear-View mirror, Blind spot sensor: warning, Bose Surround Sound System, Brake assist, Electronic Stability Control, Exterior Parking Camera Rear, Four wheel independent suspension, Front fog lights, Fully automatic headlights, Heated door mirrors, Heated front seats, Heated Reclining Front Bucket Seats, MAZDA CONNECT Infotainment System, Mazda Navigation System, Navigation System, Overhead airbag, Panic alarm, Power moonroof, Radio data system, Radio: AM/FM/CD/HD w/Single CD, Rear anti-roll bar, Remote keyless entry, SiriusXM Satellite Radio, Snowflake White Pearl Mica Paint Charge, Speed control, Speed-sensing steering, Steering wheel mounted audio controls, Traction control, Turn signal indicator mirrors. Odometer is 14152 miles below market average! Priced below KBB Fair Purchase Price! 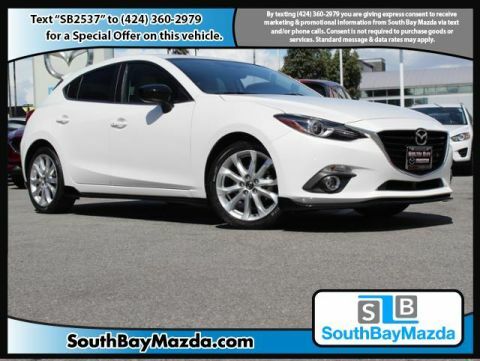 30/41 City/Highway MPG Snowflake White Pearl 2016 Mazda Mazda3 i Grand Touring FWD 6-Speed Automatic SKYACTIV®-G 2.0L 4-Cylinder DOHC 16V Mazda Certified Pre-Owned Details: * Vehicle History * Powertrain Limited Warranty: 84 Month/100,000 Mile (whichever comes first) from original in-service date * Warranty Deductible: $0 * Roadside Assistance * Limited Warranty: 12 Month/12,000 Mile (whichever comes first) after new car warranty expires or from certified purchase date * Transferable Warranty * Includes Autocheck Vehicle History Report with 3 Year Buyback Protection * 160 Point Inspection Awards: * 2016 KBB.com 10 Best Sedans Under $25,000 Reviews: * Precise handling when going around turns; very good fuel economy; quick acceleration; top crash test scores; refined interior with intuitive controls; available hatchback body style; many advanced features are available. Source: Edmunds www.southbaymazda.com Oustanding Financing, Excellent Selection of Used Vehicles, serving LA, South Bay, Redondo Beach, Torrance, Hawthorne, Hermosa Beach, Manhattan Beach, Palos Verdes, Orange County, Cerritos, Gardena, Longbeach. Certified. 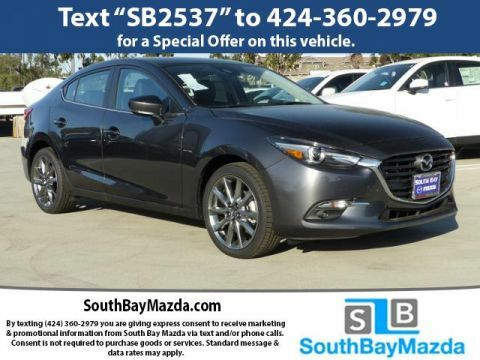 SOUTH BAY MAZDA!!!! Clean CARFAX. One Owner, 16 x 6.5J Alloy Wheels, 4-Wheel Disc Brakes, 6 Speakers, ABS brakes, Brake assist, Electronic Stability Control, Exterior Parking Camera Rear, Four wheel independent suspension, Illuminated entry, MAZDA CONNECT Infotainment System Voice Command, Overhead airbag, Panic alarm, Power door mirrors, Radio: AM/FM/HD Audio System, Rear anti-roll bar, Remote keyless entry, Speed control, Speed-sensing steering, Steering wheel mounted audio controls, Traction control. 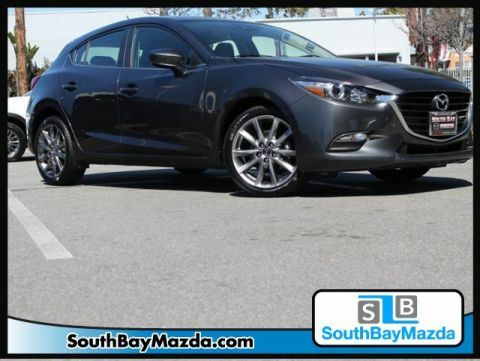 28/37 City/Highway MPG Jet Black 2018 Mazda Mazda3 Sport FWD 6-Speed Automatic SKYACTIV®-G 2.0L 4-Cylinder DOHC 16V Mazda Certified Pre-Owned Details: * Vehicle History * Limited Warranty: 12 Month/12,000 Mile (whichever comes first) after new car warranty expires or from certified purchase date * Transferable Warranty * Roadside Assistance * 160 Point Inspection * Warranty Deductible: $0 * Includes Autocheck Vehicle History Report with 3 Year Buyback Protection * Powertrain Limited Warranty: 84 Month/100,000 Mile (whichever comes first) from original in-service date www.southbaymazda.com Oustanding Financing, Excellent Selection of Used Vehicles, serving LA, South Bay, Redondo Beach, Torrance, Hawthorne, Hermosa Beach, Manhattan Beach, Palos Verdes, Orange County, Cerritos, Gardena, Longbeach. Certified. SOUTH BAY MAZDA!!!! Clean CARFAX. One Owner, 4-Wheel Disc Brakes, 7 Speakers, ABS brakes, Aha Internet Radio, Auto On/Off Headlights, Automatic temperature control, Blind spot sensor: warning, BOSE 7-Speaker Premium Sound System, Brake assist, Electronic Stability Control, Exterior Parking Camera Rear, Grand Touring i-ACTIVSENSE Package, Heads-Up Display, High Beam Control (HBC), Infotainment System Voice Command, Lane Departure Warning System (LDWS), Mazda Radar Cruise Control (MRCC), Navigation System, Pandora Internet Radio, Power moonroof, Rain Sensing Wipers, Remote keyless entry, SiriusXM Satellite Radio, Smart Brake Support (SBS), Smart City Brake Support (SCBS), Speed control, Speed-sensing steering, Steering wheel mounted audio controls, Stitcher Internet Radio, Traction control, Turn signal indicator mirrors. Priced below KBB Fair Purchase Price! 27/32 City/Highway MPG Crystal White Pearl 2016 Mazda CX-3 Grand Touring AWD 6-Speed Automatic SKYACTIV®-G 2.0L 4-Cylinder DOHC 16V Mazda Certified Pre-Owned Details: * 160 Point Inspection * Warranty Deductible: $0 * Powertrain Limited Warranty: 84 Month/100,000 Mile (whichever comes first) from original in-service date * Limited Warranty: 12 Month/12,000 Mile (whichever comes first) after new car warranty expires or from certified purchase date * Roadside Assistance * Includes Autocheck Vehicle History Report with 3 Year Buyback Protection * Transferable Warranty * Vehicle History Reviews: * Excellent fuel economy; sporty handling; quiet at speed; attractive, high-quality interior with appealing features. Source: Edmunds www.southbaymazda.com Oustanding Financing, Excellent Selection of Used Vehicles, serving LA, South Bay, Redondo Beach, Torrance, Hawthorne, Hermosa Beach, Manhattan Beach, Palos Verdes, Orange County, Cerritos, Gardena, Longbeach. Certified. SOUTH BAY MAZDA!!!! Clean CARFAX. One Owner, 18 x 7.0J Alloy Wheels, 4-Wheel Disc Brakes, ABS brakes, Air Conditioning, Automatic temperature control, Blind spot sensor: warning, Bose Surround Sound System, Brake assist, Electronic Stability Control, Exterior Parking Camera Rear, Four wheel independent suspension, Front fog lights, Fully automatic headlights, Heads-Up Display, Illuminated entry, MAZDA CONNECT Infotainment System, Mazda Navigation System, Navigation System, Overhead airbag, Panic alarm, Power moonroof, Radio data system, Radio: AM/FM/CD/HD w/Single CD, Rain sensing wipers, Rear anti-roll bar, Remote keyless entry, SiriusXM Satellite Radio, Soul Red Metallic Paint Charge, Speed control, Speed-sensing steering, Steering wheel mounted audio controls, Traction control, Turn signal indicator mirrors. 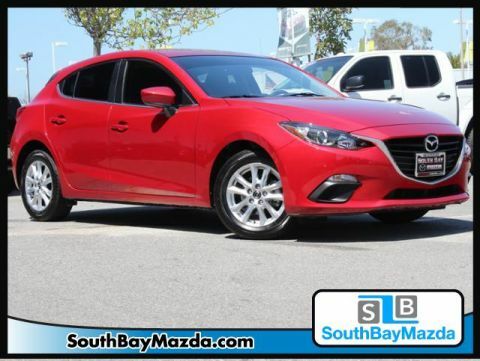 28/39 City/Highway MPG soul red metallic 2016 Mazda Mazda3 s Touring FWD 6-Speed Automatic SKYACTIV® 2.5L 4-Cylinder DOHC 16V Mazda Certified Pre-Owned Details: * Vehicle History * 160 Point Inspection * Transferable Warranty * Limited Warranty: 12 Month/12,000 Mile (whichever comes first) after new car warranty expires or from certified purchase date * Warranty Deductible: $0 * Powertrain Limited Warranty: 84 Month/100,000 Mile (whichever comes first) from original in-service date * Includes Autocheck Vehicle History Report with 3 Year Buyback Protection * Roadside Assistance Awards: * 2016 IIHS Top Safety Pick+ * 2016 KBB.com 10 Best Sedans Under $25,000 Reviews: * Precise handling when going around turns; very good fuel economy; quick acceleration; top crash test scores; refined interior with intuitive controls; available hatchback body style; many advanced features are available. Source: Edmunds www.southbaymazda.com Oustanding Financing, Excellent Selection of Used Vehicles, serving LA, South Bay, Redondo Beach, Torrance, Hawthorne, Hermosa Beach, Manhattan Beach, Palos Verdes, Orange County, Cerritos, Gardena, Longbeach. Certified. 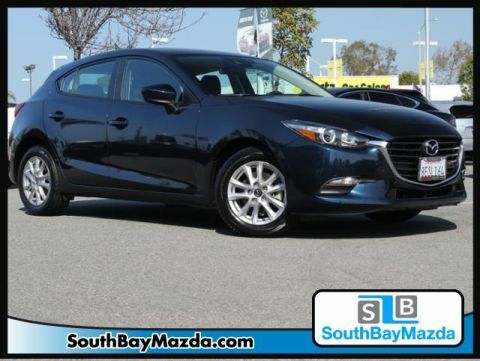 SOUTH BAY MAZDA!!!! Clean CARFAX. One Owner, 4-Wheel Disc Brakes, 6 Speakers, ABS brakes, AM/FM radio, Automatic temperature control, Blind spot sensor: Blind Spot Monitoring warning, Brake assist, Electronic Stability Control, Exterior Parking Camera Rear, Four wheel independent suspension, Front dual zone A/C, Fully automatic headlights, Heated door mirrors, MAZDA CONNECT Infotainment System Voice Command, Panic alarm, Radio data system, Radio: AM/FM/HD Audio System, Remote keyless entry, Speed control, Speed-sensing steering, Steering wheel mounted audio controls, Traction control, Turn signal indicator mirrors, Wheels: 18 x 7.0J Dark Silver Finish Alloy. Priced below KBB Fair Purchase Price! 27/36 City/Highway MPG machine gray metallic 2018 Mazda Mazda3 Touring FWD 6-Speed Automatic SKYACTIV® 2.5L 4-Cylinder DOHC 16V Mazda Certified Pre-Owned Details: * Transferable Warranty * Warranty Deductible: $0 * Vehicle History * Powertrain Limited Warranty: 84 Month/100,000 Mile (whichever comes first) from original in-service date * 160 Point Inspection * Roadside Assistance * Includes Autocheck Vehicle History Report with 3 Year Buyback Protection * Limited Warranty: 12 Month/12,000 Mile (whichever comes first) after new car warranty expires or from certified purchase date www.southbaymazda.com Oustanding Financing, Excellent Selection of Used Vehicles, serving LA, South Bay, Redondo Beach, Torrance, Hawthorne, Hermosa Beach, Manhattan Beach, Palos Verdes, Orange County, Cerritos, Gardena, Longbeach. Certified. 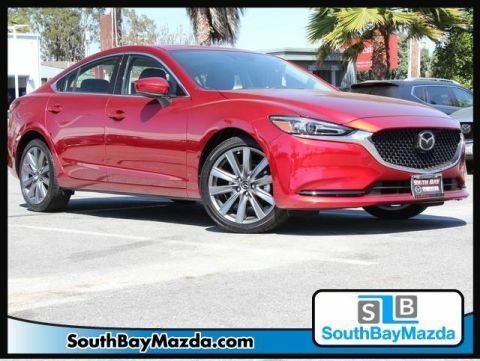 SOUTH BAY MAZDA!!!! Clean CARFAX. One Owner, 4-Wheel Disc Brakes, 6 Speakers, ABS brakes, AM/FM radio, Automatic temperature control, Blind spot sensor: Blind Spot Monitoring warning, Brake assist, Electronic Stability Control, Exterior Parking Camera Rear, Four wheel independent suspension, Front dual zone A/C, Fully automatic headlights, Heated door mirrors, Heated front seats, Illuminated entry, Occupant sensing airbag, Overhead airbag, Panic alarm, Rear anti-roll bar, Remote keyless entry, Speed control, Speed-sensing steering, Steering wheel mounted audio controls, Traction control, Turn signal indicator mirrors, Variable Heated Reclining Front Bucket Seats, Wheels: 18 x 7.0J Dark Silver Finish Alloy. Priced below KBB Fair Purchase Price! 27/36 City/Highway MPG Sonic Silver Metallic 2018 Mazda Mazda3 Touring FWD 6-Speed Automatic SKYACTIV® 2.5L 4-Cylinder DOHC 16V Mazda Certified Pre-Owned Details: * Includes Autocheck Vehicle History Report with 3 Year Buyback Protection * 160 Point Inspection * Transferable Warranty * Warranty Deductible: $0 * Powertrain Limited Warranty: 84 Month/100,000 Mile (whichever comes first) from original in-service date * Limited Warranty: 12 Month/12,000 Mile (whichever comes first) after new car warranty expires or from certified purchase date * Vehicle History * Roadside Assistance www.southbaymazda.com Oustanding Financing, Excellent Selection of Used Vehicles, serving LA, South Bay, Redondo Beach, Torrance, Hawthorne, Hermosa Beach, Manhattan Beach, Palos Verdes, Orange County, Cerritos, Gardena, Longbeach. Certified. 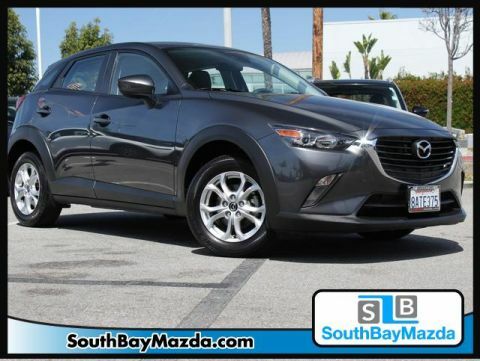 SOUTH BAY MAZDA!!!! Clean CARFAX. One Owner, 4-Wheel Disc Brakes, 6 Speakers, ABS brakes, Blind spot sensor: Blind Spot Monitoring warning, Brake assist, Electronic Stability Control, Exterior Parking Camera Rear, Four wheel independent suspension, Fully automatic headlights, Illuminated entry, MAZDA CONNECT Infotainment System Voice Command, Overhead airbag, Panic alarm, Power driver seat, Power steering, Power windows, Radio data system, Radio: AM/FM/HD Audio System, Rear anti-roll bar, Remote keyless entry, Speed control, Speed-sensing steering, Steering wheel mounted audio controls, Traction control, Turn signal indicator mirrors, Wheels: 18 x 7.0J Dark Silver Finish Alloy. Priced below KBB Fair Purchase Price! 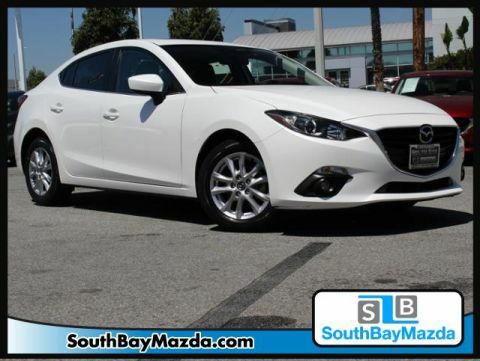 27/36 City/Highway MPG Snowflake White Pearl 2018 Mazda Mazda3 Touring FWD 6-Speed Automatic SKYACTIV® 2.5L 4-Cylinder DOHC 16V Mazda Certified Pre-Owned Details: * Includes Autocheck Vehicle History Report with 3 Year Buyback Protection * Warranty Deductible: $0 * Transferable Warranty * Vehicle History * 160 Point Inspection * Roadside Assistance * Powertrain Limited Warranty: 84 Month/100,000 Mile (whichever comes first) from original in-service date * Limited Warranty: 12 Month/12,000 Mile (whichever comes first) after new car warranty expires or from certified purchase date www.southbaymazda.com Oustanding Financing, Excellent Selection of Used Vehicles, serving LA, South Bay, Redondo Beach, Torrance, Hawthorne, Hermosa Beach, Manhattan Beach, Palos Verdes, Orange County, Cerritos, Gardena, Longbeach. Certified. SOUTH BAY MAZDA!!!! Clean CARFAX. 4-Wheel Disc Brakes, 6 Speakers, ABS brakes, Air Conditioning, Blind spot sensor: warning, Brake assist, CD player, Electronic Stability Control, Exterior Parking Camera Rear, Heated door mirrors, Illuminated entry, Infotainment System Voice Command, MP3 decoder, Occupant sensing airbag, Outside temperature display, Overhead airbag, Pandora Internet Radio, Panic alarm, Rear window defroster, Remote keyless entry, Soul Red Metallic Paint, Speed control, Speed-sensing steering, Steering wheel mounted audio controls, Stitcher Internet Radio, Telescoping steering wheel, Traction control. 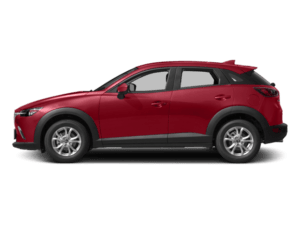 27/32 City/Highway MPG soul red metallic 2017 Mazda CX-3 Touring AWD 6-Speed Automatic SKYACTIV®-G 2.0L 4-Cylinder DOHC 16V Mazda Certified Pre-Owned Details: * Limited Warranty: 12 Month/12,000 Mile (whichever comes first) after new car warranty expires or from certified purchase date * Warranty Deductible: $0 * Powertrain Limited Warranty: 84 Month/100,000 Mile (whichever comes first) from original in-service date * Transferable Warranty * Vehicle History * Roadside Assistance * 160 Point Inspection * Includes Autocheck Vehicle History Report with 3 Year Buyback Protection Awards: * 2017 IIHS Top Safety Pick+ * 2017 KBB.com Brand Image Awards Reviews: * Excellent fuel economy; sporty handling helps you have fun behind the wheel; impressively quiet at highway speeds; front seats are very comfortable and supportive; attractive, high-quality interior with appealing features. Source: Edmunds www.southbaymazda.com Oustanding Financing, Excellent Selection of Used Vehicles, serving LA, South Bay, Redondo Beach, Torrance, Hawthorne, Hermosa Beach, Manhattan Beach, Palos Verdes, Orange County, Cerritos, Gardena, Longbeach. Certified. 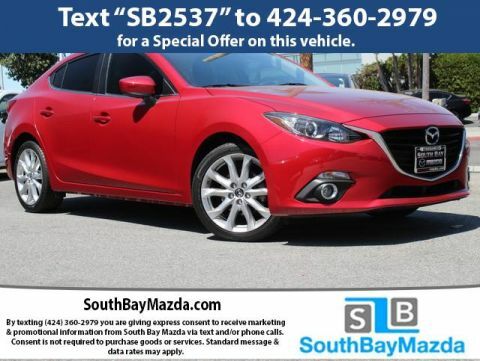 SOUTH BAY MAZDA!!!! 4-Wheel Disc Brakes, ABS brakes, Appearance Package, Automatic temperature control, Blind spot sensor: warning, Body Color Rear Hatch Spoiler, Bose Surround Sound System, Brake assist, CD player, Electronic Stability Control, Exterior Parking Camera Rear, Four wheel independent suspension, Front dual zone A/C, Fully automatic headlights, Heads-Up Display, Heated door mirrors, High intensity discharge headlights: Bi-Xenon, MAZDA CONNECT Infotainment System, Mazda Navigation System, Navigation System, Occupant sensing airbag, Overhead airbag, Panic alarm, Power door mirrors, Power moonroof, Radio: AM/FM/CD/HD w/Single CD, Rear anti-roll bar, Remote keyless entry, SiriusXM Satellite Radio, Speed control, Speed-sensing steering, Steering wheel mounted audio controls, Traction control. Priced below KBB Fair Purchase Price! Snowflake White Pearl 2016 Mazda Mazda3 s Grand Touring FWD 6-Speed Automatic 2.5L I4 Mazda Certified Pre-Owned Details: * Transferable Warranty * 160 Point Inspection * Powertrain Limited Warranty: 84 Month/100,000 Mile (whichever comes first) from original in-service date * Vehicle History * Limited Warranty: 12 Month/12,000 Mile (whichever comes first) after new car warranty expires or from certified purchase date * Includes Autocheck Vehicle History Report with 3 Year Buyback Protection * Warranty Deductible: $0 * Roadside Assistance Awards: * 2016 KBB.com 10 Best Sedans Under $25,000 Reviews: * Precise handling when going around turns; very good fuel economy; quick acceleration; top crash test scores; refined interior with intuitive controls; available hatchback body style; many advanced features are available. Source: Edmunds www.southbaymazda.com Oustanding Financing, Excellent Selection of Used Vehicles, serving LA, South Bay, Redondo Beach, Torrance, Hawthorne, Hermosa Beach, Manhattan Beach, Palos Verdes, Orange County, Cerritos, Gardena, Longbeach. Certified. 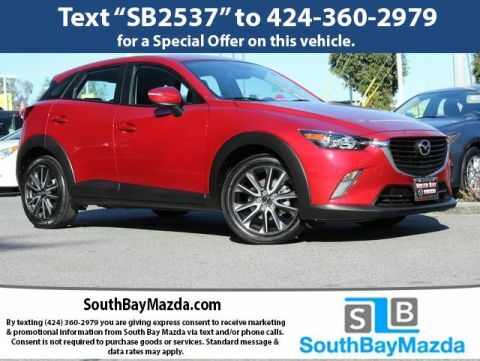 SOUTH BAY MAZDA!!!! Clean CARFAX. One Owner, 4-Wheel Disc Brakes, ABS brakes, Blind spot sensor: Blind Spot Monitoring warning, Brake assist, Delay-off headlights, Electronic Stability Control, Exterior Parking Camera Rear, Four wheel independent suspension, Front reading lights, Illuminated entry, Occupant sensing airbag, Overhead airbag, Panic alarm, Power door mirrors, Radio data system, Radio: AM/FM/HD Audio System, Rear anti-roll bar, Remote keyless entry, Speed control, Speed-sensing steering, Steering wheel mounted audio controls, Traction control, Turn signal indicator mirrors. Priced below KBB Fair Purchase Price! 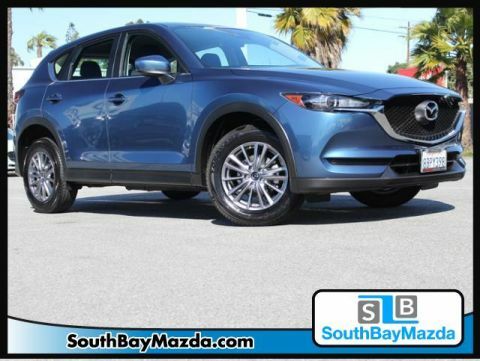 25/31 City/Highway MPG Eternal Blue 2018 Mazda CX-5 Sport FWD 6-Speed Automatic SKYACTIV® 2.5L 4-Cylinder DOHC 16V Mazda Certified Pre-Owned Details: * Warranty Deductible: $0 * Limited Warranty: 12 Month/12,000 Mile (whichever comes first) after new car warranty expires or from certified purchase date * Powertrain Limited Warranty: 84 Month/100,000 Mile (whichever comes first) from original in-service date * Roadside Assistance * Includes Autocheck Vehicle History Report with 3 Year Buyback Protection * 160 Point Inspection * Vehicle History * Transferable Warranty www.southbaymazda.com Oustanding Financing, Excellent Selection of Used Vehicles, serving LA, South Bay, Redondo Beach, Torrance, Hawthorne, Hermosa Beach, Manhattan Beach, Palos Verdes, Orange County, Cerritos, Gardena, Longbeach. Certified. 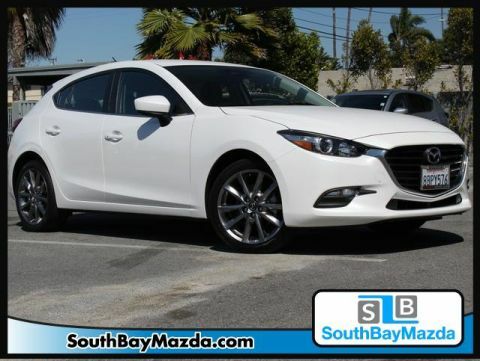 SOUTH BAY MAZDA!!!! Clean CARFAX. One Owner, 4-Wheel Disc Brakes, 6 Speakers, ABS brakes, Auto High-beam Headlights, Automatic temperature control, Blind spot sensor: Blind Spot Monitoring warning, Brake assist, Delay-off headlights, Distance pacing cruise control: Mazda Radar Cruise Control (MRCC), Electronic Stability Control, Exterior Parking Camera Rear, Four wheel independent suspension, Fully automatic headlights, Heated front seats, Illuminated entry, MAZDA CONNECT Infotainment System Voice Command, Occupant sensing airbag, Outside temperature display, Overhead airbag, Panic alarm, Power driver seat, Power moonroof, Power steering, Power windows, Radio data system, Radio: AM/FM/HD, Rear anti-roll bar, Remote keyless entry, Speed control, Speed-sensing steering, Stainless Steel Rear Bumper Guard, Steering wheel mounted audio controls, Traction control, Wheels: 19 Alloy w/Gun Metallic Finish. 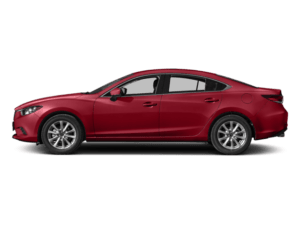 26/35 City/Highway MPG Gun Metallic 2018 Mazda Mazda6 Touring FWD 6-Speed Automatic SKYACTIV®-G 2.5L I4 DOHC 16V Mazda Certified Pre-Owned Details: * Limited Warranty: 12 Month/12,000 Mile (whichever comes first) after new car warranty expires or from certified purchase date * Powertrain Limited Warranty: 84 Month/100,000 Mile (whichever comes first) from original in-service date * 160 Point Inspection * Vehicle History * Transferable Warranty * Warranty Deductible: $0 * Roadside Assistance * Includes Autocheck Vehicle History Report with 3 Year Buyback Protection www.southbaymazda.com Oustanding Financing, Excellent Selection of Used Vehicles, serving LA, South Bay, Redondo Beach, Torrance, Hawthorne, Hermosa Beach, Manhattan Beach, Palos Verdes, Orange County, Cerritos, Gardena, Longbeach. 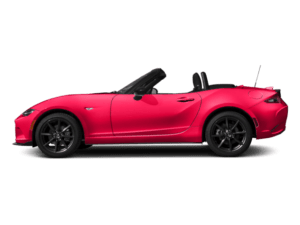 SOUTH BAY MAZDA!!!! Clean CARFAX. Odometer is 5937 miles below market average! Priced below KBB Fair Purchase Price! 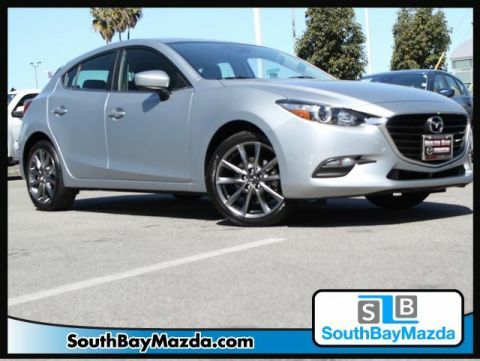 27/36 City/Highway MPG machine gray metallic 2018 Mazda Mazda3 Grand Touring FWD 6-Speed Automatic SKYACTIV® 2.5L 4-Cylinder DOHC 16V www.southbaymazda.com Oustanding Financing, Excellent Selection of Used Vehicles, serving LA, South Bay, Redondo Beach, Torrance, Hawthorne, Hermosa Beach, Manhattan Beach, Palos Verdes, Orange County, Cerritos, Gardena, Longbeach. Certified. SOUTH BAY MAZDA!!!! Clean CARFAX. One Owner, 4-Wheel Disc Brakes, 7 Speakers, ABS brakes, Alloy wheels, AM/FM radio: SiriusXM, Automatic temperature control, Blind spot sensor: warning, BOSE 7-Speaker Premium Sound System, Brake assist, Delay-off headlights, Electronic Stability Control, Exterior Parking Camera Rear, Front fog lights, Fully automatic headlights, Heads-Up Display, Heated door mirrors, Heated front seats, Illuminated entry, Navigation System, Occupant sensing airbag, Overhead airbag, Pandora Internet Radio, Power moonroof, Radio Broadcast Data System Program Information, Remote keyless entry, SiriusXM Satellite Radio, Speed control, Speed-sensing steering, Steering wheel mounted audio controls, Stitcher Internet Radio, Traction control, Turn signal indicator mirrors. Priced below KBB Fair Purchase Price! 29/34 City/Highway MPG machine gray metallic 2018 Mazda CX-3 Grand Touring FWD 6-Speed Automatic SKYACTIV®-G 2.0L 4-Cylinder DOHC 16V Mazda Certified Pre-Owned Details: * Includes Autocheck Vehicle History Report with 3 Year Buyback Protection * Warranty Deductible: $0 * 160 Point Inspection * Roadside Assistance * Transferable Warranty * Limited Warranty: 12 Month/12,000 Mile (whichever comes first) after new car warranty expires or from certified purchase date * Powertrain Limited Warranty: 84 Month/100,000 Mile (whichever comes first) from original in-service date * Vehicle History www.southbaymazda.com Oustanding Financing, Excellent Selection of Used Vehicles, serving LA, South Bay, Redondo Beach, Torrance, Hawthorne, Hermosa Beach, Manhattan Beach, Palos Verdes, Orange County, Cerritos, Gardena, Longbeach. SOUTH BAY MAZDA!!!! Clean CARFAX. Odometer is 28010 miles below market average! Jet Black 2016 Mazda Mazda3 s Grand Touring FWD 6-Speed Automatic 2.5L I4 Awards: * 2016 KBB.com 10 Best Sedans Under $25,000 Reviews: * Precise handling when going around turns; very good fuel economy; quick acceleration; top crash test scores; refined interior with intuitive controls; available hatchback body style; many advanced features are available. Source: Edmunds www.southbaymazda.com Oustanding Financing, Excellent Selection of Used Vehicles, serving LA, South Bay, Redondo Beach, Torrance, Hawthorne, Hermosa Beach, Manhattan Beach, Palos Verdes, Orange County, Cerritos, Gardena, Longbeach. Pre-owned vehicle pricing includes all offers and incentives. Tax, Title and Tags not included in vehicle prices shown and must be paid by the purchaser. While great effort is made to ensure the accuracy of the information on this site, errors do occur so please verify information with a customer service rep. This is easily done by calling us at (310) 974-8177 or by visiting us at the dealership. 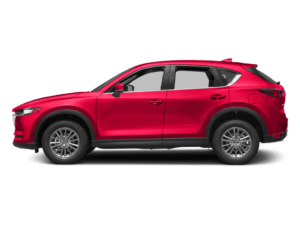 Why Buy a Used Car from South Bay Mazda? We make it easy to find the pre-owned model you need at a reasonable rate! 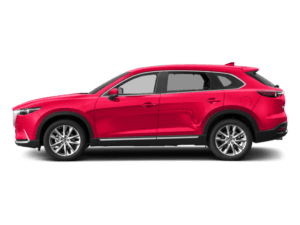 Here, you’ll find everything from used Mazda6 sedans to used Mazda CX-5 SUVs, as well as ever-changing pre-owned vehicle specials. Need something even more affordable? Check out our under-$10K inventory for a great deal! If you have any questions about the benefits of buying used or wish to value your trade-in vehicle, contact us today!